If it has swords, then it must be good...right? Wait...what's this? A second title screen??? How very greedy! Here we are at the first Sierra game for 1990! It’s one I’ve not played before too which has me excited. 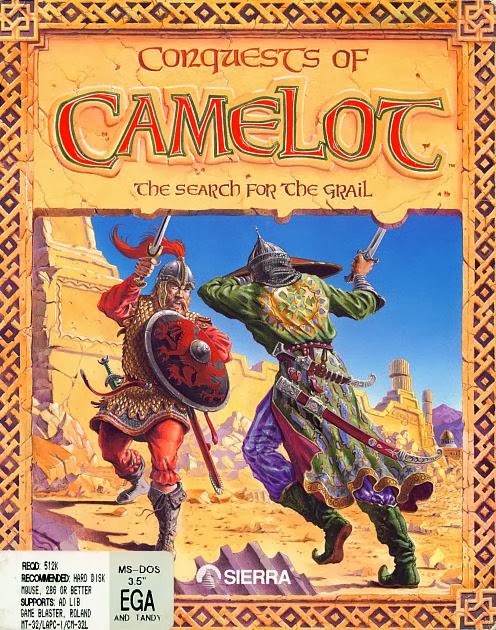 Conquests of Camelot: The Search for the Grail is listed on some sites as having been released in 1989, while others say 1990. The game files of the version I have are dated 24th of March 1990, so that’s where I’ve chosen to include it on the playlist. 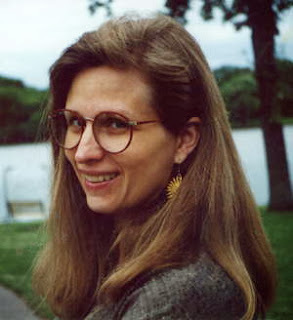 Conquests of Camelot is the first of two games designed by Christy Marx with the help of her husband Peter Ledger, with the second one being Conquests of the Longbow: The Legend of Robin Hood in 1991. Christy is a writer for television, film, animation, books, comic books, graphic novels, manga and of course videogames. In fact, I've just discovered that Christy played a big role in my childhood, having written episodes of Spider-Man and His Amazing Friends, G.I. Joe and Teenage Mutant Ninja Turtles. From what I can tell, her work for Sierra was her first in the gaming industry, but she’s gone on to be involved in many notable MMORPGs (such as The Matrix Online, Myst Online and Earth & Beyond) and a couple of Lord of the Rings related console games (The Lord of the Rings: The Two Towers and The Lord of the Rings: War in the North). She designed Conquests of Camelot from writing and structural points of view, while Peter designed the visuals. This certainly isn’t the first time we’ve seen husband and wife join forces to make an adventure game (hi Corey! ), nor will it be the last. Oh, and she also created this little Jem, although I never watched it. Well...I may have a little bit. Sierra already had a history of applying their adventure game engines to different thematic genres (think Police Quest, Space Quest, Leisure Suit Larry, Manhunter, Gold Rush! ), and Conquests of Camelot: The Search for the Grail continued this trend. Sure, King’s Quest and Hero’s Quest had delved into fairy tale and fantasy based medieval worlds, but this game would be set in the medieval world we know from history. That’s not to say that it’s purely historical! After all, the story of King Arthur and The Holy Grail has more fictional leanings than historical ones (there’s no definitive proof that he existed at all!). I think the game manual’s introduction, written by Christy herself, describes what they set out to do better than I could: “The trick with writing a story or game based upon a popular set of legends is to walk that thin line between tradition and originality. What I’ve striven to do with this game is to balance history and myth, fact and imagination, entertainment and information. Rather than adhere slavishly (and boringly) to specific stories, I drew upon the essence of the Arthurian legends and other mythologies to create a blend which I think will challenge you and entertain you at the same time.” This sounds great to me, as I love a bit of education with my entertainment, but of course I have no idea how successful they were at this point. I assume all this info will become important at some point. Speaking of the manual, it has the title Liber Ex Doctrina, which I just had to look up. It seems it can be read in two different ways, depending on how you translate the Latin. The word “liber” can be interpreted as either “book” or “free”, so the title can be read as either “Book from Knowledge” or “Free from Doctrine”. Regardless of what the title means, the book is a pretty fascinating read. 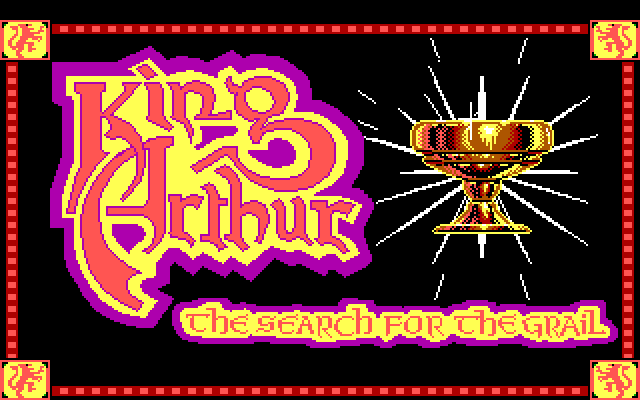 I don’t know how much of it is relevant to the game itself, but there’s a lot of information about King Arthur, the Grail, the “Language of the Flowers” and various Goddesses, before it eventually gets down to telling the player how to actually play. Most of the remaining pages cover the basic Sierra adventure game mechanics that we’re all used to, but one particular part stands out as important. There’s a whole section on how to fight successfully in the game, with each of the number pad keys producing a different action (Great High Blow, High Parry, High Attack, Retreat etc.). I hadn’t been aware that there was combat element to Conquests of Camelot, so it will be interesting to see how it compares to the one in Hero’s Quest. There’s also a map entitled “Europe & the Middle East”, which is most appreciated by the geographically retarded (ie. me). It should at least help me get my bearings while playing. What would a medieval game be without a good fight in armor!? It’s worth noting that Christy and Peter were not the only people involved in the creation of Conquests of Camelot. David Slayback (Police Quest II) was the Lead Programmer, assisted by Robert Fischbach (Police Quest II & Hero’s Quest), Doug Oldfield (Space Quest III & Codename: ICEMAN), Jerry Shaw (Police Quest II & Hero’s Quest) and newcomer Eric Hart. The game’s sound and music were once again created by the legendary Mark Seibert. From what I’ve read, he made a real attempt to make authentic-sounding medieval music for it, which is cool. As mentioned earlier, Peter designed the games art style, but he also had a role in animation, backgrounds, and even the very nice box artwork! Conquests of Camelot appears to have been his first and last Sierra game (it’s a bit surprising to see that he didn’t work with Christy on the sequel). The other animators were Douglas Herring (Larry II & The Colonel’s Bequest), Kenn Nishiuye (Hero’s Quest & Codename: ICEMAN) and newcomers Andy Horos and Jennifer Shontz. Finally, Peter received help on the backgrounds from Douglas Herring and Julian Ledger. This appears to be the only game Julian was involved in, and I can’t help wondering whether he’s the brother of Peter or at least a relative. Anyway, I’ve downloaded a copy of the game, and after finally learning my lesson, will be playing it in DOSBox. Will there be any other Grail hunters? If I find it first, I can’t promise I’ll share! This is one of the better covers we've seen so far. A nice action shot that promises the player some serious medieval adventure! Note Regarding Spoilers and Companion Assist Points: There's a set of rules regarding spoilers and companion assist points. Please read it here before making any comments that could be considered a spoiler in any way. The short of it is that no CAPs will be given for hints or spoilers given in advance of me requiring one. As this is an introduction post, it's an opportunity for readers to bet 10 CAPs (only if they already have them) that I won't be able to solve a puzzle without putting in an official Request for Assistance (see below for an example bet). If you get it right I will reward you with 30 CAPs in return. It's also your chance to predict what the final rating will be for the game. Voters can predict whatever score they want, regardless of whether someone else has already chosen it. All correct (or nearest) votes will go into a draw. Jub nz V sbe 20 PNCf? Extra Note: Once again, Lars-Erik will gift the next readily available game on the list to the reader that correctly predicts what score I will give this game. So, if you predict the right score (or are closest), you will get 10 CAPs and a copy of the King's Quest Collection from Steam (which includes Roberta Williams' King's Quest I: Quest for the Crown). How good is that!? Good luck! I've never played this game even though eversince I was a kid I've always wanted to. Too bad, I don't think I can do that now. As for guessing a score... I have no idea... let's go with 63. Is this an answer to the riddle? If it is, then it's incorrect. Yeah, sorry, it was. I'll take another shot. Kent Knutson? Correct!!!! Kent Knutson from Normality. So...how did you figure that one out? And for a score I'll go with 53. Reporting for another quest! This is one Sierra adventure that I always wanted to try but never came around to it. Also, what a coincidence - I've just picked up War in the North from the latest humble bundle. The game does seem a bit obscure. I´ll go with a score of 50. After playing for a bit, I think that score was a little too pessimistic. Am I still in time to change it to 55? I keep wanting to convert that list into a sortable table, but it's just too daunting. I wrote a program to do that once. But I bet I deleted it the second I was done, as why would I ever need that again? Also known as, I'm an idiot. I'll go with 58. I remember playing it multiple times and really enjoying it. Great game. I'll go with a score of 62. I'll go for a score of 61. Never played it myself, not sure I'll have time to play along though. One of my favorites as a kid. The box was not just cool, but embossed, if memory serves! I do suspect there are some things which will frustrate you, especially early on as you get the hang of what kind of behavior the game expects out of Arthur. It's also Sierra, and if memory serves there is at least one "oops, you did something wrong a while back - sucker!" moment. But I may be mixing it up with another game. Regardless - great theme, great settings, great art, some attempts to mix up the formula (if not as much as in Hero's Quest)... I played this several times through and based a lot of childhood stories of my own on plot elements from this! I haven't been reading regularly enough to really keep a grip on your scoring system but since the low 60's are all taken, I'm going to go out on a limb and say 64. Notwithstanding the frustrating elements, I think you're really going to dig the richness of the theme/world! An interesting game with a lot of historical background, but some flaws just made me not like it so much. 1) The arcade parts were just pain. 2) There's definitely a possibility to dead end yourself in the worst possible way (you've come so far and then you just hear "Haha!"). 3) The puzzles are a bit non-existent. I think I'll play the tactical lowest score card: 48. I loved this game as a kid. I pirated it (as I did most games when I was younger) and didn't have the manual. As a result, the puzzles in the game were extremely challenging. When you have the manual, many of these puzzles/riddles become simple copy protection, but without the manual, you have to do research, thinking and problem solving to figure them out, and as a kid, I really enjoyed it. I'd like to guess 57, as it's good, but not phenomenal. I meant 56, I must have read the 57 directly above my post. I especially found it an unconvincing change from the tradition that Neguhe uvzfrys jbhyq svaq gur tenvy. Lbh'q guvax gur xvat bs jubyr Oevgnva jbhyq unir zber cerffvat qhgvrf guna tnyybcvat nebhaq Rhebcr va frnepu bs n zlfgvp phc. I think the "language of flowers" thing might be used for copy protection. Hmm, two title screens, one featuring a sword and one a cup. Can the wands/staves and coins be far behind? Christy and Peter used a lot of pagan imagery and references in the game. "Andy Horos" would actually be "Andy Hoyos". Andy later was the art director for Castle of Dr. Brain and Quest for Glory III. Maybe also Mixed-Up Fairy Tales, although Bob Gleason was the main artist on that. He did the beautiful concept art for Jane Jensen's current project, Moebius; I'm not sure if he is involved in the actual game. Super-talented artist, perfectionist, and nice guy. As for Peter Ledger, I'm not sure why he didn't work on Longbow. Management forced him to change some of his Camelot paintings, so possibly that was a factor. Peter died tragically in 1994 in an auto accident - head-on collision with a semi truck on a country road. Julian Ledger was his son from a previous marriage. 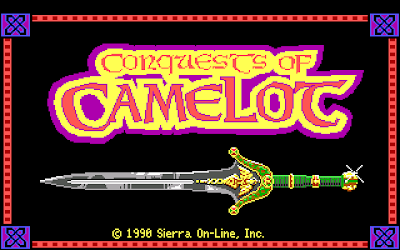 Conquests of Camelot appears to have been his first and last Sierra game (it’s a bit surprising to see that he didn’t work with Christy on the sequel). I'll do 54 as a guess. I kind of want to try it, but knowing there's (not very good) action sequences in it daunts me. I'll start it up and see how it goes. New release and promo on GOG. Buy Deponia 3, get Deponia 1 and 2 for free. Some months ago I played a downloaded copy of this game. But recently I remembered that there was actually some old floppies of it (that my parents probably copied from a friend) lying around in my home. So I copied the contents of them. There was a minor bug in the version I had downloaded earlier (xvffvat Sngvzn jbhyq serrmr gur tnzr), and wan't in this one. I did some more testing and ran into the bug again - so maybe it has to do with DOSBox cycles or messing with the game's own speed settings, not the game files. Not a big deal as the action results in death anyway. In the floppy version of The Legend of Kyrandia 1, the patch that updates the game to version 1.3 refuses to install completely if it detects altered/unmatching files. Most versions available on abandonware sites are cracked to bypass copy protection, resulting in an altered .exe, so there's some value in having a genuine copy. If this isn't relevant, I don't know what is. StoryBundle.com just released their Video Game Bundle 2.0 including "The Guide To Classic Graphic Adventures!" "The Guide to Classic Graphic Adventures is the closest of a Holy Bible for fans of the genre one can get. It's excellently written almost without superfluous nostalgic superlatives and gives newcomers to and oldschool fans of the genre an amazing value for the money." Very interesting. And it includes interviews with several adventure game devs -- Corey among those mentioned. Thanks for the heads up! I already mentioned that book here several months ago, but I guess Trickster forgot about it. It's definitely worth a look, and it's made by the people behind one of my favourite gaming websites. I was highlighting 1 of 9 books in a bundle that was only released yesterday. All the books are related to video gaming (it is, after all, a video game bundle), but that particular book related to this blog the most. I'm sure the others are good as well. I've not gotten around to reading them (again, bundle's been out for a day), but I did read all of the books in StoryBundle's last video game bundle and found them to be pretty good. thanks Cush, $10 is a steal for all 8 books. Since I probably wouldn't have bought them without being bundled, I figure every little bit helps. I may get a hardcover copy of some of the better ones. Yeah, my wife got me a Kindle for Father's Day last year and I love it. I still like a physical book for collecting or for great art and illustrations, but for straight reading? I love getting the eBook bundles and the last video game bundle had great reads. Looking forward to this one. Dammit! Forgot to guess a number. I'll take 63. By the way, this Kickstarter project looks rather promising. Pretty ambitious and more than halfway there with 16 days to spare. ZZT was a spiritual successor to Apogee's Kroz games (yes, that's Zork backwards) - a sort of text character based 2D action/puzzle game that you could create your own sets of levels for. It supported a bit of simple scripting, too, so you could make little adventure or RPG bits if you wanted to. Reading that post almost made me wept man-tears (that are totally macho and not pansy-like, at all). I know I'm late to the party on this one, but I work with Tim Sweeney at Epic Games. We passed that around when it happened. We actually have a copy of ZZT framed on our wall along with every other game Epic has published/shipped. So many good games came out of Epic MegaGames. ZZT, Jazz JackRabbit, Jill of the Jungle, Epic Pinball, Unreal... Ah, memories. Ergh - I've been terrible on attendance in regards to anything but being able to read this blog. I remember Conquests as being.. aggravating, to say the least, and wish I could devote the time to replay and say exactly why! Curse working in a Christmas-attacked environment. I'd say around about 50. Oooooooh, I got to gnyx gb gur fgbarf! Well that wasn't really apparent from the start. *grumblegrumble* We've suddenly got a spike in difficulty between games I see. Hah, I can understand that. I'm trying to avoid any rot13 until I'm either stuck or done with it to hopefully steer clear of any spoilers. So far it's not a bad game, but I'm dreading having fxvccrq fbzr qrgnvy va gur pnfgyr that dead ends me later on since V pna'g tb onpx gurer jvgubhg erybnqvat as far as I can tell. Not a fan of the arcade sequences either, although they haven't been terribly difficult so far. I do like the semi-historical setting though, it's different from a lot of the other games we've played. Yeah, I'm carefully curating my set of saves just in case I have to backtrack. Hmm, it's been years since I played it, but I had the distinct recollection that many puzzles would have required just reading manual. What have been you impressions thus far of the puzzles? I don't know if there's a lot of puzzles that require the manual. So far I've discovered one, gur ohfu jvgu sybjref. So far the puzzles have been either pretty simple (like the one I mentioned in this post), or annoyingly diffuse (like the one I groaned about in rot13 earlier). Besides the "puzzle" mentioned by Lars-Erik (and how did you like the process of getting to that one? :-)) I've found one instance where I wouldn't have known what to do without the manual. @Ilmari: jura nfxrq nobhg rnpu bar bs gur fvk tbqf zragvbarq va gur znahny, gur byq jvfr zna va Tnmn jevgrf flzobyf ba gur fnaq sbe rnpu. Zvaq lbh, V fgvyy qba'g xabj jung gurl'er tbbq sbe! The first puzzle Lars-Erik talked about was easy enough if you paid attention. Gurer'f na vafpevcgvba ba gur nygne va gur cerivbhf fperra onfvpnyyl gryyvat lbh gb nfx gur fgbarf sbe n evqqyr. Gur ynfg jbeq, "evqqyr", vf zvffvat ohg vf rnfl gb svther bhg orpnhfr vg'f va eulzr. Then there were parser problems. I had to simply type "gnyx gb orttne" instead of "nfx orttne nobhg uvrebcunag". I'm finding so far that you don't have to specify who you want to talk to, as you talk to the closest person by default. So if you just position yourself close to the person you want to talk to and type for instance "talk" or "ask about..." the correct person will reply. @Lars-Erik that is correct. So far I've managed simply getting close and using "talk to man/woman". Yeah, but the point is V unq qbar gur fvzcyr "gnyx gb orttne" jvgu uvz orsber, naq qvqa'g guvax bs qbvat vg ntnva. V nffhzrq V unq gb nfx fbzrguvat fcrpvsvp gb erirny uvz nf gur uvrebcunag. Fghcvq birefvtug vs lbh nfx zr. "Qb lbh xabj nobhg n uvrebcunag?" "Jung nafjre pna lbh rkcrpg sebz n yrcebhf orttne?" if. "Uryyb." "Nu, lbh sbhaq zr bhg! Lbhe jvfqbz vf terng vaqrrq, xvat Neguhe." About the process of getting to the "puzzle" Lars-Erik mentioned: Jnf gung jurer lbhe pebffrq gur sebmra ynxr? V erzrzore orvat dhvgr naablrq jura V whfg xrcg cyhatvat vagb gur qrcguf. V nz abg fher juvpu jnf jbefr, gung be gur obne. Yup. Invisible death mazes are the best mazes. I personally think that sweet corn are the best maizes. @Ilmari: Yes, gur vpr ynxr. V unq npghnyyl gevrq gb pebff vg ORSBER trggvat gur urneg -- fbb sehfgengvat! Gur obnef jrera'g fb onq, bapr lbh trg ubyq bs gur gvzvat naq gura vg jnf dhvgr rnfl. Npghnyyl, wbhfgvat gur Oynpx Xavtug jnf gur jbefg. V pbhyqa'g znxr frafr bs gur rarzl ynapr'f cbfvgvba. Riraghnyyl V fgbccrq gelvat gb hfr zl fuvryq naq pbapragengrq ba uvggvat uvz. by the same developers as the Blackwell games. This was made before the Blackwell games, but has been recently remastered. And continuing on the same vein, a remastered version of 1997s The Last Express is now available on Steam. This is the second remastering of The Shivah actually. I first played it when it still was a freeware game. Oh no! Charles already completed the game and I haven't even downloaded it. Family life will keep me away from the game for the next week. I'm glad Trickster seem just as busy; otherwise, I might really fall behind. Wow, that reference to Christy Mack was outrageous. 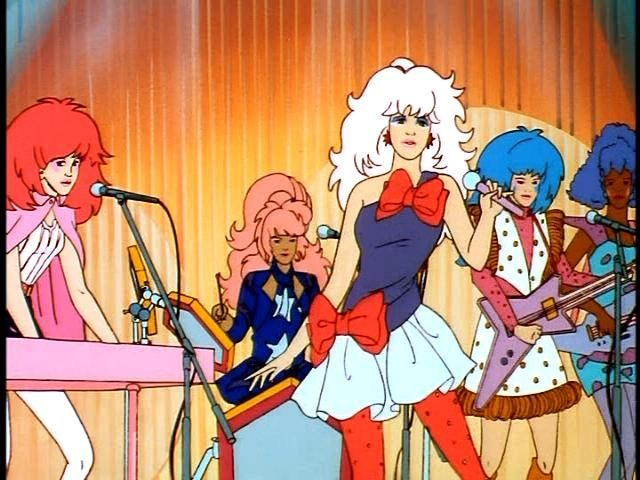 Truly, truly truly outrageous. I once dated a David Slayback. Maybe they're related.